Currently viewing the tag: "foreign oil"
I’ve watched this film. You can get it on Amazon , Hulu and probably Netflix as well but I happened across this preview for the actual theatrical preview, and it reminded me when I watched it a couple of years ago. 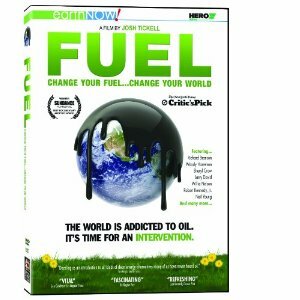 This film is about what should be done to make a dramatic change in the direction the planet is currently headed regarding its sustainability of human life. What is possible versus the extremely slow changes we are making with renewable energy and the elimination of fossil fuel use (vice our Nation simply getting off foreign oil). One must also understand that it is acceptable to have used oil as we have. The economics of our history, culture, and society make that acceptable. But I feel and believe that we’ve reached a point in which we should focus true and wholehearted effort to shift away from its use as soon as practicable. Some would say that we could have solved this problem in the 1970s when the oil embargo and fuel prices rose to unprecedented levels. While I don’t necessarily believe we could have solved this completely (mostly due to technology restrictions) I believe we could have invested better and placed ourselves in a preferable position than where we remain to date. So rather than being in a position to have plenty of funding to invest in much of the endeavors that will inevitably be put forth in this film we have sent an extraordinary amount of our American dollar to another part of the globe in order to put limited funding into mass transit, allow our roads and bridges decay to collapse, and do significant damage to our air, water and land quality. At this point we have reached the deficit level where even programs, such as mass transit are facing significant funding challenges in areas like Pittsburgh. This hampers wise transportation options but also severely affects the lower parts of the income spectrum. While I have enjoyed the academic year in Pittsburgh the city faces strategic environmental challenges compounded by the economic issues of a city still very much recovering from the fall of its steel industry several decades ago. Pittsburgh Water and Sewer Authority (PWSA) faces a city “Grand Challenge” in their water and sewer networks that must be improved to meed Federal minimum requirements. Have you made it a habit to look at the environmental conditions where you are living? How do you integrate sustainability into your life?